Citizen King offers insights into topics in American history including the Southern black church, leadership, race relations, definitions of freedom and citizenship, civil rights, regional political differences, federal government intervention in the states, and more. You can use part or all of the film, or delve into the rich resources available on this website to learn more, either in a classroom or on your own. Divide the class into three groups. The first group should prepare a timeline of major events in the history of African Americans and civil rights up to 1955 (the start of the modern civil rights movement). The second group should prepare a timeline of the civil rights movement itself, 1955-1968. The third group should prepare a timeline of the period from the end of the civil rights movement to the present, showing recent events related to civil rights. When the groups are done, post the timelines around the room and view them as a class. Then have each student write one paragraph describing what he or she found most striking about the material in the timelines. 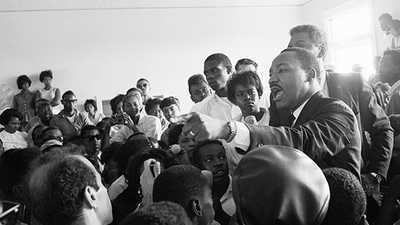 King's "I Have a Dream" speech in Washington, D.C., in 1963 is a high point of the civil rights movement and one of the best-known speeches in American history. Divide the speech into sections and have volunteers read it aloud to the class, section by section. At the end of each section, discuss the passage that has just been read -- its meaning, the language and metaphors it uses to make its points, and so on. Then discuss the speech as a whole. If you had been in the crowd that day, how do you think the speech would have affected you? In the 1950s and 1960s, as African Americans were struggling to obtain equal rights, large numbers of African countries were gaining their independence from European colonial rule. Divide the countries of Africa equally among the members of the class. Each person should then prepare a one- or two-page fact sheet on the country or countries he or she was assigned; the fact sheet should include a map showing the country's location in Africa, a brief explanation of which foreign power colonized it and for what period, and basic information such as the capital, current population, and per-capita income. Assemble the fact sheets into a booklet and distribute copies to every member of the class. After students have had a few days to review the material, have them fill in an outline map of the continent with the name of each nation, working only from memory. Divide the class into groups of three and have each group prepare an illustrated map of locations that were important in Martin Luther King, Jr.'s, life. Each group should select four or more locations to show on the map. Each of these locations must be illustrated with a photograph or original drawing of an important person, event, or place at that location. Accompanying the illustration should be a brief explanation of why this location was important in King's life. When the maps are done, post them around the room and compare the locations chosen and the ways in which they were illustrated. 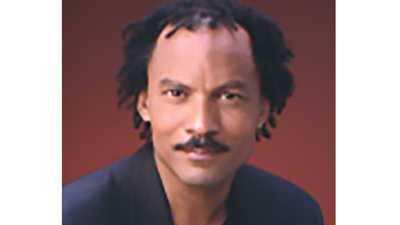 In the film, William Gray states that "In order to understand Martin Luther King you must start with the fact that he was a minister. 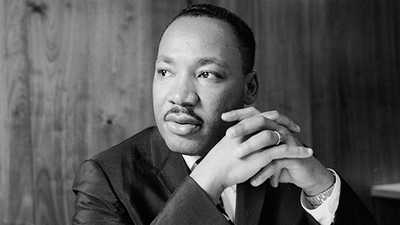 That is the key to who Martin Luther King, Jr., was." Read about King's philosophy of non-violence. Then, working with a partner, choose a research topic based on some aspect of King's religious faith, his career as a minister, or the role that his faith played in shaping his civil rights work. For example, what beliefs and practices did King observe as a member of the Baptist Church? What was the Southern Christian Leadership Conference, and what role did it play in the civil rights movement? How did Jesus' call to "love your enemies" influence King's belief in non-violent protest? How did King draw from the language of the Bible in his speeches? Once your teacher has approved your topic, conduct the research and present your findings in an oral report to the class. In his use of civil disobedience (refusing to obey laws one views as unjust) as a tool in the campaign for civil rights, Martin Luther King, Jr., was following examples set by the American reformer Henry David Thoreau and the Indian leader Mohandas Gandhi. Research the life and thought of either Thoreau or Gandhi and write a report that (a) provides a basic overview of the man's life, (b) describes his views on civil disobedience, and (c) explains the specific causes for which he worked. Include in your report at least two quotations from your subject that help present his views. As the film explains, toward the end of his life Martin Luther King, Jr., devoted increasing attention to economic issues that he saw as part of the struggle for civil rights -- most notably, the large number of African Americans who lived in poverty. Working together as a class, find out how African Americans compare today to other groups (such as whites and Hispanics) in various measures of well-being. Begin by discussing the kinds of measures you might research, such as the share of African Americans who live in poverty, are unemployed, lack health insurance, have graduated from college, or own their own home; the median income of African American households; African Americans' life expectancy; and so on. Divide the class into groups to research specific questions and report back to the class with their findings. Then assemble the findings into a written report, slide presentation, or other form. 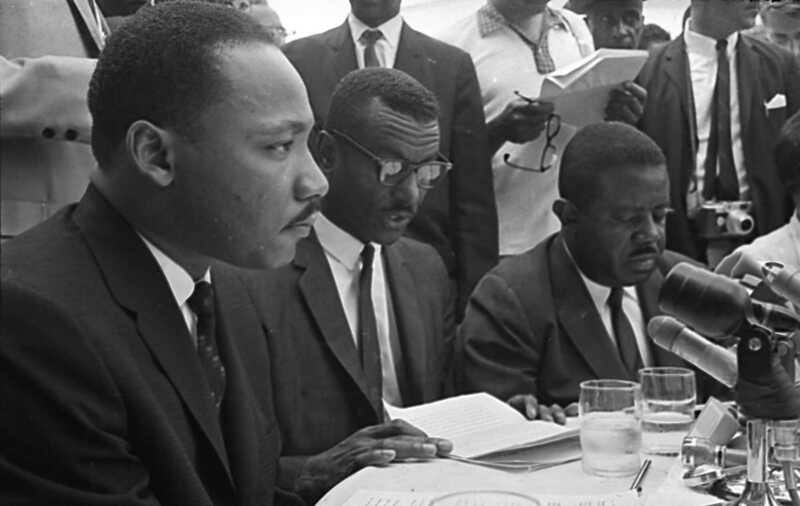 In the film, King states in a press conference regarding the 1966 Chicago riots that "until the conditions are removed which make for riots, many of our pleas for nonviolence will fall on deaf ears." Similarly, some people have argued since the September 11 terrorist attacks that the battle against terrorism must include efforts to fight poverty and other conditions around the world that may help cause terrorism. For example, Secretary of State Powell stated in 2002 that "We have to go after poverty... We have to make sure that, as we fight terrorism using military means and legal means... we also have to put hope back into the hearts of people... We have to show people who might move in the direction of terrorism that there is a better way." What relationship, if any, do you think exists between poverty and violence? Find two or more news stories that you think concern this issue, either directly or indirectly, and present them to the class. Use these presentations as the starting point of a class discussion on the issue. Acclaimed filmmaker Orlando Bagwell explores Martin Luther King, Jr.'s life and describes working on Citizen King.